Continental Carbon Group’s PHOENIX® is a state-of-the-art hydrogen sulfide (H2S) removal system. PHOENIX® is simply the most effective means of removing airborne H2S, the most prevalent odorous compound present in wastewater treatment. PHOENIX® radial flow canisters, using water washable CENTAUR® HP carbon combined with our patented segmented reactor design, produce a system that can continuously remove up to 50 ppm of H2S with 99% average efficiency. 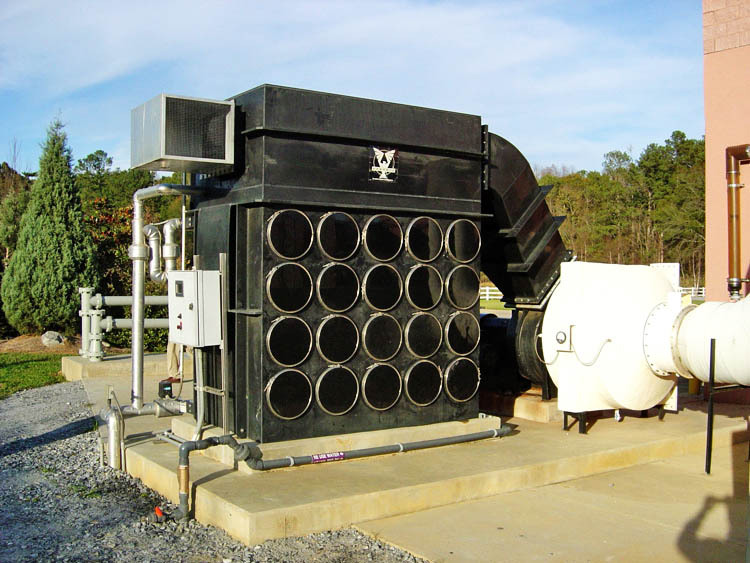 The PHOENIX® system works by directing the foul air down through a series of chambers containing the radial flow carbon canisters. As the air passes through the radial carbon beds, the H2S is catalytically converted to H2SO4. The loosely adsorbed and highly water soluble H2SO4 is then washed off with water during the automated water regeneration process, thereby restoring the carbon’s capacity for H2S. The system’s segmented design allows one chamber to be water regenerated while the rest of the system continues to treat H2S. This delivers a system that has virtually no treatment downtime. PHOENIX® is ideally suited for municipal wastewater collection system applications such as pump stations and lift stations, as well as wastewater treatment plant processes such as headworks, sludge thickeners, and belt press rooms. The specially designed Phoenix canisters are filled with the unique Centaur HP carbon that can be washed in place with potable water. This water wash feature greatly extends the life of the activated carbon, but inevitably over time the adsorptive capacity of the carbon will be lost. 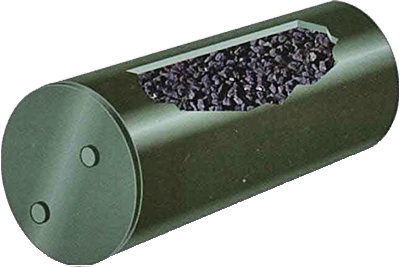 When fresh carbon is required, the spent carbon is removed in easy-to-replace canisters that require no vessel entry or contact with the carbon. 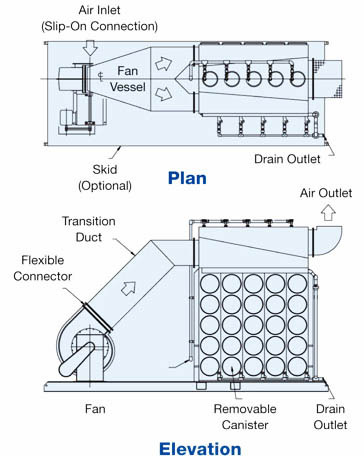 The ease of carbon replacement with the Phoenix® system provides a huge benefit over other odor control systems that require media change-outs that can be messy and labor intensive. One bank of canisters is regenerated at a time through the use of a short water-wash procedure. While the one bank is being water regenerated, the others remain on-line. The carbon regeneration system, coupled with the highly refined Centaur HP, greatly increases the operational life of the carbon. Operating weigh is PHOENIX® reactor with one bank filled with water. Fan and transition ductwork not included. Maximum weight is PHOENIX® reator with a banks filled with water. Fan and transition ductwork not included. Dimensions are for PHOENIXv reator with fan and transition ductwork, does not include particulate filter. System pressure drop = reactor drop + 1" w.c. grease filter + 1" customer ductwork.